We once again found ourselves walking the hallowed halls of AmerSport in Ogden, Utah. We figure if they see us around enough they will just hire us. 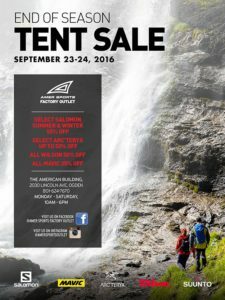 We met up with Conor Wright, Manager of the AmerSport Factory Outlet, to talk about the big tent sale that kicks off on Friday September 23rd. Conor tells us about all the deals and what you can expect- you don’t want to miss this if you are in the area. Then Conor was kind enough to donate a Suunto Ambit3 Vertical to giveaway in a contest: Have a listen for details. Next we met up with Josh Korn and Mike Ambrose- these dudes are fast. We talked shop and had just a little fun …cause that’s what we do. We are excited to see what Salomon has planned of 2017 and so should you. Have a listen and make sure you enter the contest. Also- don’t forget about our pre-order for TrailManners Boco Gear custom beanies- we only have 50 so get on it now. I need the Suunto Ambit 3 Vertical because my husband gets all the good stuff for himself. Shoot, this might just be our winner! That is an awesome answer! I need to win this Sunnto Ambit 3 Vertical because its the cat’s MEOW! Winning this watch will probably put me into the RUT! Suunto!!! Because I keep on getting the good stuff and my wife is sick of tracking her runs with her phone. Great podcast guys! The why behind I need this watch is. I would love to gift this to my wife. She is a newbie trail runner/runner. She relays on my watch for collecting data on runs however I typically slow down my runs for her pace. I need a this watch because I don’t have one. I’m starting training for my first 100 miler and it could aid in my success. I’m super nervous about the big 100, but my dad recently passed away due to complications from diabetes so I have to do it for him. Did I mention I’m a little nervous about the distance?….. Also now that I know there is going to be a tent sale and a ladies night I will not have any money left to buy one for myself. I need a Suunto Ambit 3. Because the polar gps watch that I had fried when I went for a run in very light rain. It’d be nice to have a real gps running watch! Like a goat to the mountian, running steep and getting high is my game. Like a mountian loin tracking its prey I will use this watch daily…Screaming from the mountian tops suuuunto! I am a local Ogden Ben Lomond/Malans/Ogden peak killer. Right now I have no device for tracking. I really wanna fit in. Keep up the great podcast fellas. I’d like the watch so that I can figure out how to NOT miss time cutoffs in 100 milers. With my 2 recent dnfs I need to train different. A new Suunto would help with that. That and I had a hashtag named after the Suunto #jarrodgarrstoe plus I could use an update as you could see from my post on Facebook. Not sure what happened to my first post hmmmm. I NEED the Vertical for its battery life! Skimo season is around the corner. Suunto rules! I NEED this because not only is it the bee’s knees, but there’s no way I could get away with spending that much on a watch on my own! Not only is it the bees knees, but I could never get away with spending that much if I were to buy it myself! Well, everyone one that has submitted, has great reasoning! I am still stuck with my dinosaur Garmin Forerunner 310! Did I just date my self? As I am new(ish) to the Ogden trails, I frequently get lost, even with the great signage, so this would a great asset. Plus, my wife just recently won a Suunto Ambit3 Run, in white…So, now I need to one up her, and get this one! Either way, I love what Trail manners and AmerSport are doing for this community! Oh, man do I ever need this. Just finished — and crushed — my second 50K Saturday. Now I am planning out a race calendar, moving into longer distances with more vert. Addicted? Yep. Committed. Yes, sir. Equipped … Not yet. My new coworker is training for her first race, and I would love to give her a GPS to help with her training. If I win the Suunto Vertical, I will give her my old GPS and happily use the Suunto. I am currently training to run a 50 miler (my first ultra) on my 50th birthday next year and would love to have the Ambit3 Vertical to aid in the training process! Keep up the great work on the podcasts! I need this watch to help aid in my couch to 5k to marathon to ultra to fkt AT training program. And so when in the podcast I hear you guys try to prounounce Suunto I can look down on my wrist and follow along. I need this watch because I will never be able to convince my physics and chemistry loving, garden master of a husband that it is worth spending the money to get one. But I know and ya’ll know that everyone needs a Suunto! So true Megan, everyone needs a Suunto! I need the Ambit 3 because I’m pretty sure I’m going to kill my watch in the Bear “Blizzard” 100 this weekend! I need the Ambit3 Vertical because I am currently rehabbing from ACL reconstruction and am on the verge of getting back to hiking/trail running. My current watch is close to death (won’t even turn on half the time) and needs to be replaced. There is not a better watch on the market for the off-trail peak bagging adventures, skimo races, and long pool workouts that I would use it for. I feel bad. My wife inherited my Ambit 1 with a sticky exercise button when I upgraded. I would love to give her a shiny new watch. She definitely deserves it!! Enjoy your show guys!! And by “aid” I mean it would help me avoid relying on my dog to find our way back to the car! Suunto rocks. I *need* this watch because my current watch (name redacted) is ginormous and weighs me down – it’s like having a ti-82 on my wrist! … and my birthday is this weekend sooo….. I need this watch so I can continue to get and crush all of the “soft” Strava CRs in Ogden. London Spire to Ben Lommond loop anybody? 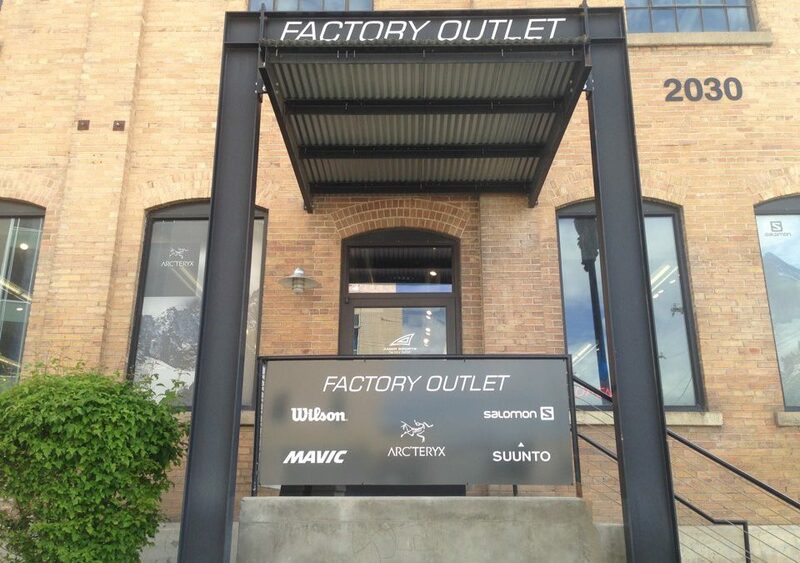 True story: a few years ago I decided that I was going to take a huge step in my personal progress by making a stop in the Lululemon store while on a business trip in Minnesota. If you’re like me, as a dude it’s a big step to enter that environment because it just doesn’t quite feel right- it’s almost like venturing into Victoria’s Secret for athletes. I scored a major win and was able to bring my wife home some limited edition speed shorts, the kind that many women would trade almost anything for, including their children and certainly their husbands. The next weekend we were running a Ragnar Relay (don’t judge) together, and my wife was excited to sport her new speed shorts for all women (and let’s be honest, some men) to behold and envy. We didn’t even make it to her first leg before she was helping move some gear around in the back of a 16 passenger van, and somehow while stepping out of the back of the van, she caught her treasured speed shorts on one of the swinging doors. In a fluid motion of stepping down and out of the van while unknowingly having her shorts becoming affixed to the door, she was suddenly dangling and swinging out over the pavement below in some kind of wedgie trapeze act. The sight was something to behold, and we all laughed at her expense. Fortunately she was able to join in and laugh with us, but unfortunately her precious shorts were torn and ruined without having spent even a mere mile stretched over my wife’s beautiful behind. The point? Well…giving her this watch after all she has done to support me since then and especially through the slam would be the only way I could ever finally give her something that means the world to her….even more than limited edition speed shorts! We’ll lets be completely truthful i don’t care how fast I run, cuz I already know it’s not that fast. Miles?? humm maybe some days. What I really NEED this bad boy for is the speedometer on my moped is broken and I really want to know it’s top speed. I’m sure this watch will do that, they do pretty much everything you can think of now a days besides get you a beer out the frig. I’m also thinking this could be a huge chick magnet! I need the AMBIT 3 Vertical to track the lack of vertical here in OH. FYI: I heard a rumor that Andrew Miller is running the Georgia Death Race again in 2017. I need this watch because without it, I may not find the motivation to get off this couch. My Doc says gaining 50 pounds a month hasn’t been ideal. Tying my shoes is getting hard, I’m starting to believe him. I need this Suunto watch because if you guys are showing up at the Rut next year, I’m afraid my position in the middle of the mid-pack may be at risk. If you find yourselves in need of a veteran to hang with you up Lone Peak, I’m going to need to track my training so I make sure I don’t let you down. You guys have Rut envy…. I have watch envy…. And I think we can have it all.